The KNECHT/MAHLE Group has been a leader in the development and distribution of high-quality components for the automotive industry for years. The product range of this group includes air filters and induction modules, oil filters and modules, fuel filters, cabin filters and aerosol traps, as well as filter systems for industrial applications. 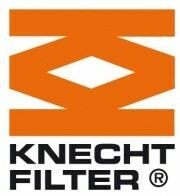 Quality awards from significant vehicle manufacturers and the large number of certifications prove the high quality standard of KNECHT/MAHLE products. For further information, please contact the V&D Auto Team: 02 / 819 39 39.